Life of a mad typer: Baking for carry in. 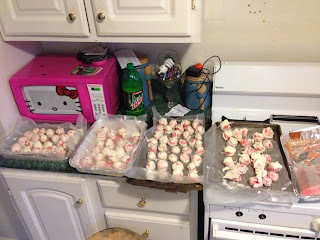 I made cake balls last week for a carry in at work. 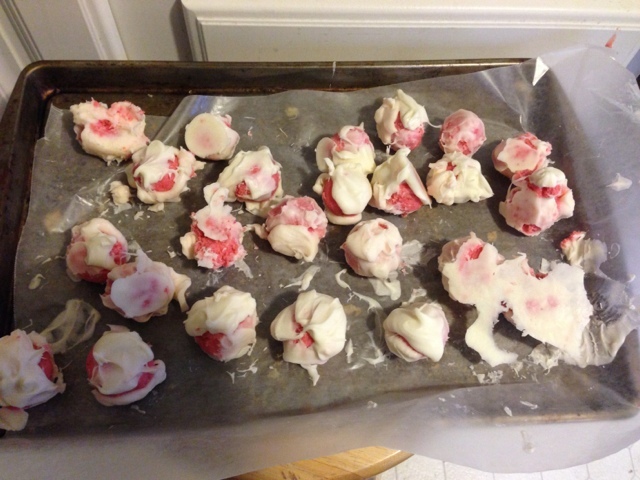 They we're strawberry with cream cheese icing and white candy coating. They were a hit! Not to many left and I was asked about them the next night. Ty! I have a lot wanting me to make more! They devoured the rest at work also lol.